In 2007 I enlisted to teach a handful of classes on Internet safety at BYU’s Campus Education Week. At the time, I was a professor in the Computer Science Department at Brigham Young University (where I taught a class entitled “Computers and Society”), I was serving in a campus ward bishopric, and nine of my ten children were still living at home. Between my professional, personal, and ecclesiastical experiences, I figured I had the Internet safety space fairly well covered. My first day prepping for Education Week was an eye opener. I fired up Google to see what the Internet had to say about its own safety and found about five million hits for the search string “Internet safety.” I was able to parse through the material and find a great deal of content that I could share with my students, but I was surprised at just how difficult it was to find the information that would be most helpful. Even with graduate degrees in Computer Science and a decent exposure to the subject, it took a significant investment of time and a lot of sweat to find what I was looking for. I wondered just how bad it must be for other parents, already at a technical disadvantage, to drink from that firehose in order to try and help their kids. I also thought of incredibly busy parents around the world and figured that few of them would be able to spend the sheer volume of time that I had invested in prepping for my Education Week classes. That’s where this whole journey started. That Fall semester at BYU two students (Kenny Foisy and Jacob Wall) and I launched and hosted the Internet Safety Podcast, and it soon became the top podcast on the subject of Internet safety on iTunes. We realized very quickly that we needed a place to put relevant technical content, and thus the Internet Safety Wiki was born in 2008. By 2009 it was clear that we needed better integration of services, so we rebranded the effort as The Internet Safety Project and in 2010 launched a new web portal featuring a blog, a newswire, and a Twitter feed, in addition to the wiki and podcast. By 2011 the Internet Safety Wiki had grown to 2,000 articles and was the largest wiki dedicated to the subject of Internet safety on the Web. By the end of 2012 we incorporated The Internet Safety Project and took it off campus. One year later the project received its 501(c)3 status and we were back in business, this time as a non-profit corporation with me as chairman, podcast host, and occasional blogger. Through those years, the itch to encapsulate much of my learning in book form grew. 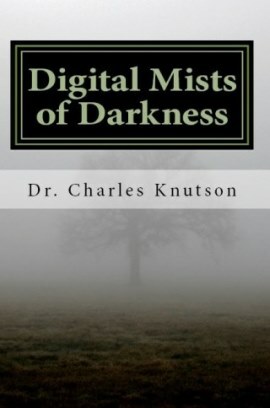 I faced the dilemma of condensing 2,000 wiki articles and 20 hours of relevant lecture material into a modestly sized book, sufficient to enable parents of diverse technical backgrounds, appropriately cautious in its approach to the dangers of technology, all the while being spiritually uplifting and encouraging. It’s been as difficult as it sounds, and has taken much longer than I anticipated. But as I have spoken around the country in various wards and stakes, it has become clear to me that this resource material is needed by members of the Church who are losing loved ones to evil influences enabled by technology.